Generally simple construction and good surface detail. A good kit of an interesting and unusual subject. The SM 79B (B for Bimotor) was designed in 1935 to meet a Regia Aeronautica requirement expressed in a bomber competition of 1934. It was rejected, but the company chose to continue to develop the twin-engined SM 79 with a view towards potential export sales. The much better known and far better looking trimotor SM 79 was to serve with the Regia Aeronautica, then the Aeronautica Nazionale Republica and Co-Belligerent Air Force. The SM 79B replaced the centre engine with a glazed nose, and the side-by-side pilot seating with a tandem arrangement. The bomb-aimer’s gondola from the trimotor was retained despite the new glazed nose. Five SM 79B’s powered by with 1,000 hp Fiat engines were used by Iraq, and another 24 fitted with 900 hp Gnome-Rhone engines were used by Romania. In 1939 Romania requested a version with in-line 1,100 hp Junkers Jumo engines to replace the previous version’s radials. Known and the SM 79 JR (JR = Junkers Romania), this version had much more angular tail fin and tailplane. The intention was to build this version under licence in Romania, although the first 8 were supplied from Italy and were called JIS 79B (JI = Junkers Italy). Then 36 SM 79 JRS 79 were produced in Romania. Theses were followed by a further 36 SM 79JRS 1B which had more powerful Jumo engines of 1,380 hp. Until now I was only aware of an obscure and rather rough French conversion to turn a SM 79 trimotor into a bimotor. Therefore, the arrival of Azur’s kit is very welcome indeed. I’m pleased to see that the kit comes in a top-opening box rather than the more typical of Azur end-opening type. 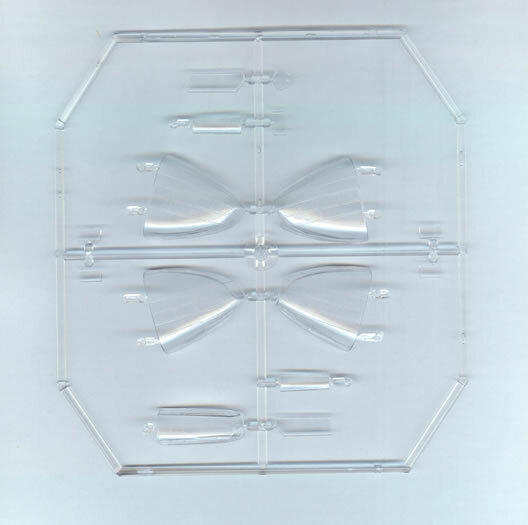 The kit parts are sealed in three plastic bags that serve to keep resin, grey and clear styrene parts separate from each other. The instructions are in English (as well as French and Romanian). They provide a parts map and an easy to follow diagrammatic assembly guide despite being of small A5 format. Colour call-outs are cross-referenced to Gunze colours. 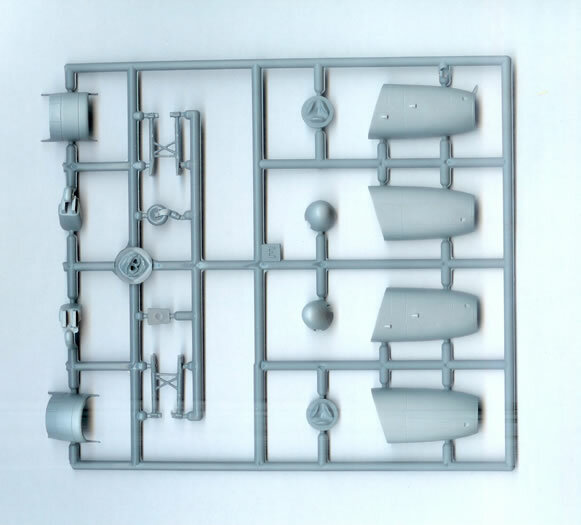 The styrene parts are cleanly moulded limited run items. 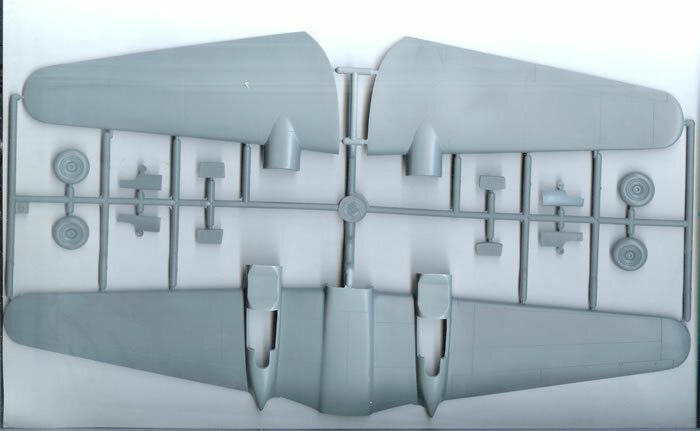 The fabric fuselage is particularly well represented, and is far superior to Italeri’s exaggerated efforts on their SM 79, or Airfix’s raised lines representing stringers. 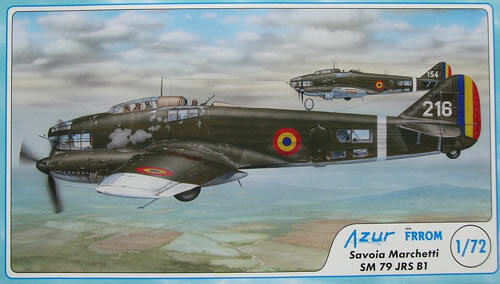 I would expect this kit to build well in a fashion typical of late Azur or Special Hobby kits. Levels of cockpit detail are quite adequate for the scale and size of the clear parts, although perhaps some PE seat belts would have been nice. There is no wheel-well detail to speak of, but this is typical for kits in this scale, and does not matter to me. 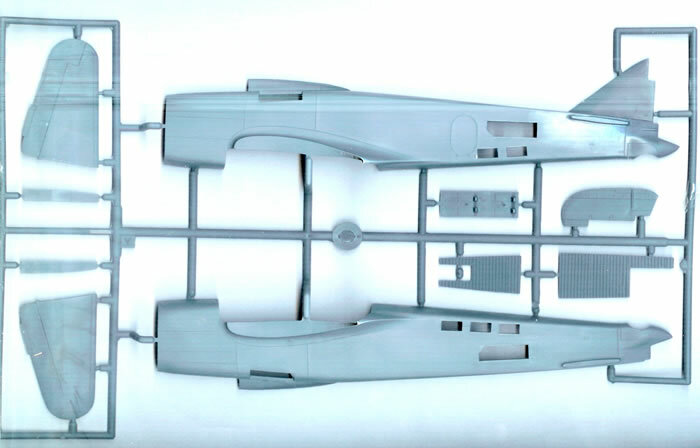 Clear parts are just that, but will probably need some polishing after the central seam on the nose has been dealt with as it coincides with very thin centre-line canopy framing. The four small resin parts provide the engine radiators, a radio that will hardly be seen, and a small flush-mounted machine gun that protrudes from the lower starboard side of the nose. 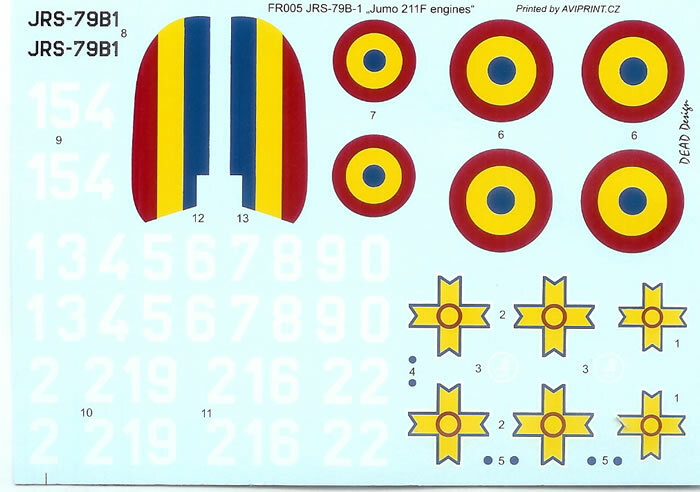 Three decal options cover two machines with the Romanian Roundel and the one with the St Michael’s Cross national insignia. The painting and markings plans are adequate in their shadow-shaded format, but A5 pages make for small 4-view diagrams (a wingspan of 86 mm). I feel many other kit brands make a better job of their painting guides than this. Decals are in good register and appear to be of good opacity. Azur already offer the SM 79 JIS / 79 JRS with their slightly different nose glazing. I hope that they plan to do the SM 79B as well. 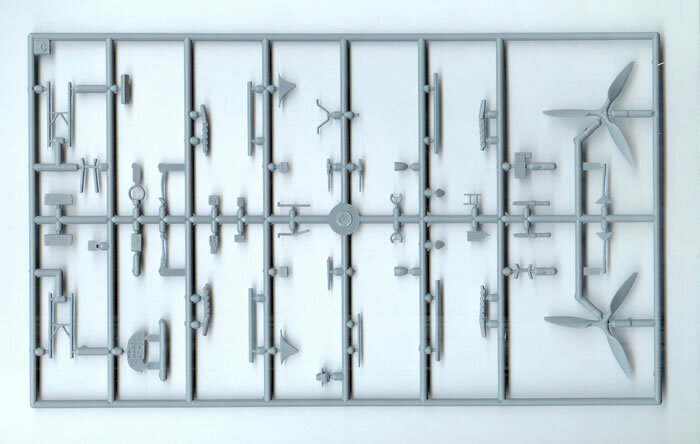 Looking at the sprues this would certainly seem possible without too much difficulty. This kit is typical of the quality and type we have come to expect from Azur. I for one am grateful that they continue to produce unusual and/or infrequently kitted subjects, This version of the popular SM 79 family is long overdue. I recommend it as well worth purchasing if you have a hankering for this somewhat unusual subject. I apologise for the quality of the images use here. 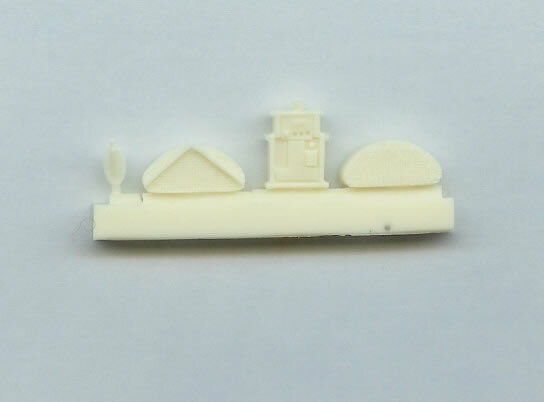 Prolonged poor weather in Auckland, NZ has meant that I had to use my scanner rather than my camera for sprue shots.